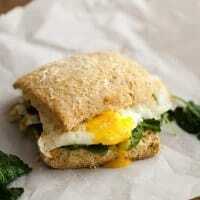 Fried Egg Biscuit Sandwich with Garlicky Greens | Naturally. Loving food as much as I do, there are certain foods I will never pass up when offered. Croissants top that list followed by tacos, roasted sweet potatoes, and french fries. And of course, biscuits. My love of biscuits started when I was younger at a shall remain nameless fast food chain where I’d only order biscuits with honey. Needles to say, my biscuit palate has changed quite a bit since then. This whole wheat biscuit sandwich has become a favorite occasional breakfast. Follow the instructions to make a half batch of the biscuits, using the whole wheat pastry flour in place of the AP/whole wheat flour and adding in the parmesan and scallions if desired. While the biscuits are baking, heat the olive oil in a large skillet over medium-high heat. Add the garlic and cook for 1 minute. Add the greens, toss a few times, cover, and remove from the heat. Let sit for 5 minutes, or until the greens have wilted slightly. Remove the greens from the skillet. Return the skillet to medium-high heat and add the butter. Fry the eggs, flipping once, until they reach the desired doneness. 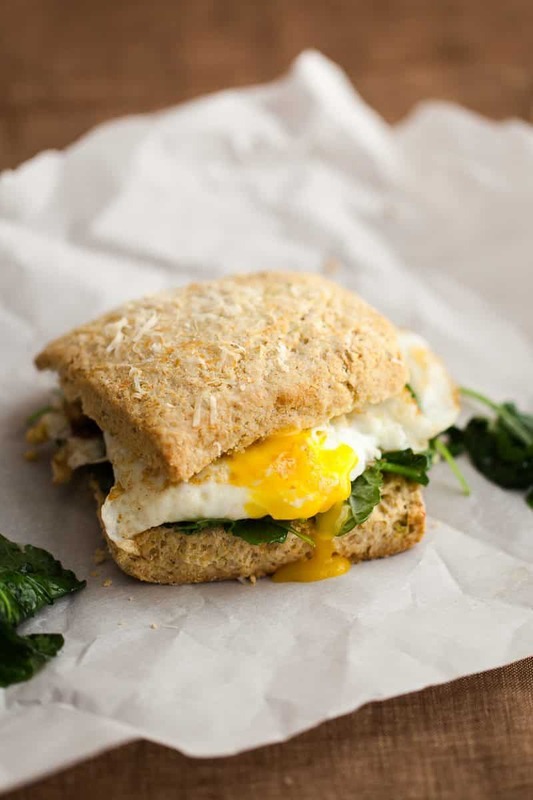 Assemble the sandwich by cutting a biscuit in half and layering on 1 egg, on-quarter of the greens, and about 1 teaspoon of spicy mustard. Biscuits: I’ve changed the original biscuit recipe and started using this one from Melissa and while I like the parmesan and scallions in the biscuits, don’t go out of your way to add them. The biscuits are good without them (of course). Filling amount: These biscuits keep well so if you only want to make one or two sandwiches, reduce the filling accordingly (I usually make all the greens and just eat the extras for lunch). While I keep the base of the biscuit sandwich the same nearly every time, the filling is switched up quite a bit. You could easily add meat if desired or just load it up with more vegetables. Flours: For this particular recipe, I milled soft wheat berries to make whole wheat pastry flour. You can easily swap in all purpose flour or do a mix of AP and wheat. Or, use your own favorite biscuit recipe! Greens: I prefer to stick with greens that can stand up to heat. Swiss Chard and Kale are my top two picks and occasionally I’ll wilt collards. Spinach works too but tends to be a bit softer in texture. 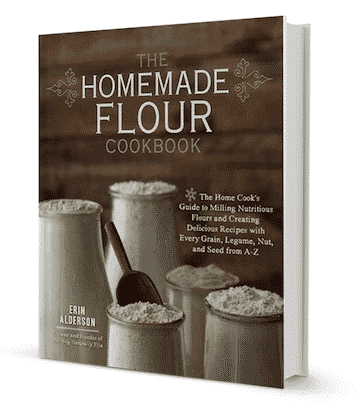 Since it’s the holidays, if you have someone you are shopping for that gets excited about cooking at home/potentially milling their own flours, I hope you consider giving the gift of The Homemade Flour Cookbook. It’s a board overview of milling your own flour at home from grains, legumes, nuts and seeds. Oh my gosh this looks so good! I love the parmesan and scallions in those biscuits too! I love the runny egg in here! Great quick breakfast. This sounds delicious! I’ll be in my hometown for Christmas and my sister makes incredible garlic & cheese biscuits… of course there’s not guarantee that any would be left by the time breakfast came 😛 but I think they would be delicious with this sandwich! I’ve never tried whole wheat biscuits, but I’m willing to give it a try. I could eat one of these a day.